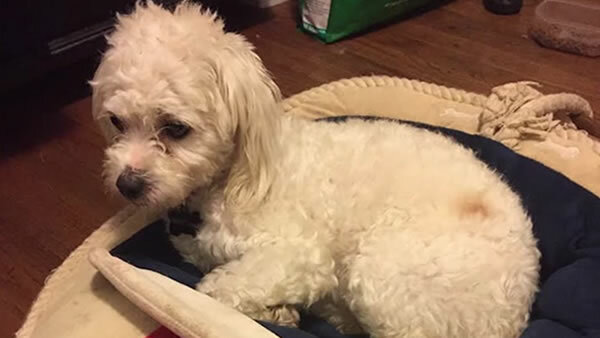 BURLINGAME, Calif. (KGO) -- A Burlingame couple now faces felony animal cruelty charges for the apparent scalding death of their 2-year-old dog. Investigators say Shelby Lujan brought "Sprocket" to an emergency animal clinic in May, more than a week after she said he was injured. Lujan and her boyfriend, Paul Souter, claimed a cup of boiling water spilled into Sprocket's crate. Sprocket suffered third-degree burns on 40 percent of his body, officials say. The clinic tried to save the dog but he succumbed to his injuries and died within a few hours. The Peninsula Humane Society believes Sprocket was lowered or placed into a scalding liquid. "The details of this case are horrific," PHS/SPCA president Ken White said in a statement. "After the scalding, the poor dog endured days of horrendous suffering. We hope our investigation will provide the evidence needed to bring Sprocket justice, and ensure that his owners are unable to hurt any other animals," White said. Lujan has been released on bail while Souter is still in custody.